We have also only managed to receive around half of the total responses needed for the survey. As I know, some members have been disappointed regarding the silence on the MN9 forums, and I apologize that I haven't been around to help clear up some of the confusion. As some of you may have noticed, I was helping with the running of the Red Ash KS as AP so a lot of my time was taken up with that. I know that a lot of backers have some apprehension about the fact that there was silence leading up to this announcement among a lot of rumors. The reason why we are only talking about this now, is that Inafune-san felt it was important for fans to hear the message directly from him as he is the project lead and he feels responsible for the delay. Gamescom 2015 was an opportunity to not only do that, but also give official word to the media so as to try to cut down on any miscommunication or misunderstandings. Unfortunately, there were a few mixups that caused rumors to start spreading. The tl;dr version: delayed for additional quality assurance (online modes) and only 50% of backers answered the console survey. For those keeping track, this is the game's second delay. Originally slated for April 2015, Comcept bumped it to September. Not much else to say than that. Pretty disappointing on all fronts. I was wrong then. I'm very disappointed that the game's been delayed. I hope it's better polished by launch, however I still might not get it om launch. Game was supposedly done, the September delay was due to publishing. Wtf is this? "I-It's not delayed! Protodude, Game Informer and Destructoid are wrong! VGStations are gods!" Look whose wrong now. The blind fanboyism towards Inafune and MN9 is disgusting. I never even received my surveys, ever. You can still try to ask on the forums (if you have access) or email them. The CM was changed since April. If it is only online bugs than why not make an announcement of that before release and why can't they just release the game and patch it later on? I'm sure it would cost the same amount either way only difference is if the offline segments are good enough people will say as much which is the main meat of the game anyway, this will produce added revenue if it attracts new costumers then they could use the extra money to patch the online features. Yeah, you're giving the fans too much credit. They're getting to be as bad as Sonic fans, maybe worse. At least Sonic fans still get games to complain about. Wronged the fans? For canceling a few games? Lol. Even when L3 was in dev they said it wasn't officially green lighted,but most fans just ignored that part. Now if fans paid for a game and then it was cancelled with no refunds,that would be what I call wronged. But this stuff,this is nothing. Fans these days,hell...people in general....have such a sense of entitlement. Pretty sad. Capcom (or any gaming company not using some sort of crowd funding) does not owe us anything. It is their IP and they can do with it as they please. Getting off topic here,so I'll stop there. Anyways.....f anyone wants to play a "new Mega Man game",honestly their best bet is to play one of the many fan games out there. Many of them are very good. And anytime I see someone post "I'm done with this" or something similar in regards to something gaming related,I read it as "I'm done with this.....for now" because usually it is true. Friendly reminder that in both cases--the Legends 3 demo and the Mighty No.9 Kickstarters--the fans were invited to play a direct part in the development of the game, with the expectation that they'd get something out of it for the time or money spent. The only difference between them is the latter actually asked the fans for money to develop the game, while the former never reached that point. When it comes to asking the fans to take the place of investors and/or publishers and put their money where their mouths are, there is no question that they're entitled to get what they paid for. That they're suckers is another matter. Okay... so Gamestop was right and I was wrong. This is unfortunate, but better the game be good than broken. I couldn't be happier that the game's been delayed. Not that I hate Inafune, Comcept, or the game itself, but because I already have a date with a certain Snake come September. One that's sure to be a very long date. I would hate to have Beck as a third wheel so this aligns nicely. Aside from that, maybe while they fix the bugs, they'll give the game some more polish. A lot of people aren't pleased with how it's looking so many some extra "HD flair" (lol) will satisfy them. I wouldn't mind it looking a smidge better myself. Hoho, guess this will teach those blind fanboy to learn to actually open their eyes and not fully trust Inafune like honestly..it doesn;t take any rocket science on why all of this delay happened and why it announced so late. If people think it really meant for Gamescom then they really a naive, Comcept are delaying so that they can ensure the RED ASH kickstater to success but in the end they sell themselves to some shady chinese publisher which only make thing worse when the publisher themselves is in debt and has no record in successful gaming industry. Nice brain work over there Comcept. And seriously, delay because of online feature? What is it for anyway?Trophy?,Dlc? What happen to play the game offline first and patch that bug later? I doubt gamer this days are such an online neet that they require or let along have desire to be constantly online.. Honestly all of this game dev is such a mess and Inafune and Comcept is making a fool out of themselves and hopefully those blind fanboy will learn to open their eyes. "Comcept are delaying so that they can ensure the RED ASH kickstater to success"
Wait, what? That's absurd. How will delaying an almost finished game ensure the success of another game that is barely in the planning stages? If anything, delaying Mighty No. 9 would decrease Red Ash's success because Comcept will have less cash on hand to work with. "And seriously, delay because of online feature? What is it for anyway?" Oh, I don't know... Maybe they delayed because if they release it with whatever bugs are still being resolved, the enlightened, non-"blind fanboys" would make statements like "Inafune ripped everyone off by releasing a terrible, buggy game" and then spew whatever hate they have been saving up just for the occasion. Either way, haters gonna hate. Bug-free software doesn't just appear out of thin air, and issues can pop up that take time to resolve. I'm beginning to think that it would be wise for Protodude to disable comments for a while until people can get their heads on straight and start commenting rationally. I wholeheartedly agree with you, anon number 1. Okay, anon, let's be rational. When you think of Mega Man, do you think of a single-player 2D action platformer, or leaderboards and online achievements? Furthermore, do you honestly think bug-fixing would reasonably take about 5 months or more? They were going to wait until Gamescom to announce a DELAY of all things?? 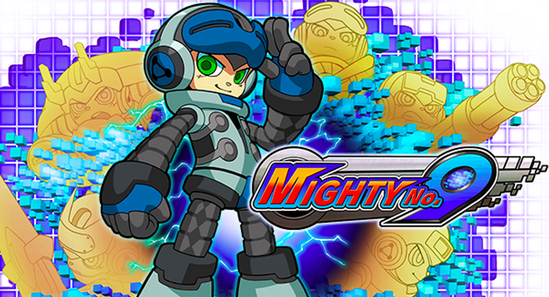 That's it, I'm officially done with Mighty No 9. This has gotten to ridiculous levels, and why? Because they were too focused on packing in as many features as they possibly could rather than focusing on the main game at hand. It shouldn't have gotten to this point, I wouldn't have cared in the slightest if MN9 didn't have online support. All this wait isn't even worth it anymore, I have plenty of other games coming in September and in the next year to preoccupy myself with. Way to make an impressive display Comcept. I think the last thing that needs to happen is for the fandom to start throwing rocks at one another over "you're a fanboy - no YOU'RE a fanboy" and instead just take the experience as a slice of how game dev works. It's all pretty enlightening stuff that I think everyone gains to learn perspective from. Good luck with that. The fanbase is downright hungry for new MegaMan games and when they don't get one, they bash anything, including Inafune. Finally! Some people who actually make sense! Welp. "It happens," as they say. But at what point will we actually be able to play the damn thing in some form? Us filthy non-backers, I mean. You'd think they could be nice and release a demo or something. I mean, Azure Striker Gunvolt has a demo and they whipped together something for Red Ash, so where's the public demo for this hunk of junk? How hard would it be to make one, given the fact that the Single Player mode has been since since last year? Or are they holding off on a demo because even they're not sure the game will actually get released? If you mean refunds on the Kickstarter, it's too late. Once that's reached its goal you can't get it back. Try contacting your bank about a charge back. Your email should contain a pledge charge confirmation, giving you the day your card/bank was charged. And this is why you don't announce a date until the bug testing is mostly done. People in the backer forums are pitching the idea of having the E3 demo released on all platforms to ease the wait.